Home builders have been gobbling up sites in A and B markets in Southern California for the last 18 months, driving land prices back up above mid-2000s peak levels. Higher land prices are impacting profits and making deals tougher to pencil. What’s a builder to do? Consider low land-cost D and F locations. While everyone has heard the real estate adage location, location, location, the truth of the matter is that the real indicators of potential new home project success are location, timing, and price. If you have all three – a good location, good timing, and the right price – you will hit a home run every time. Even if you have just two out of the three, chances are you will still do well. Consumers often choose to live in D and F locations because they can’t afford to live in better communities. We often call these consumers the “drive until I qualify” crowd. Remember, there are far more families making $50K per year than there are families making $80K per year. So, what if one of the three indicators is poor, such as a D or F location? Success in a bad location is absolutely possible. To overcome a poor location, you need to at least have good timing, like the current up-cycle, or “good” prices, typically meaning much lower prices than homes in A or B markets. With either or both of these two components, projects in D or F locations are definitely worth considering and can generate strong financial returns. 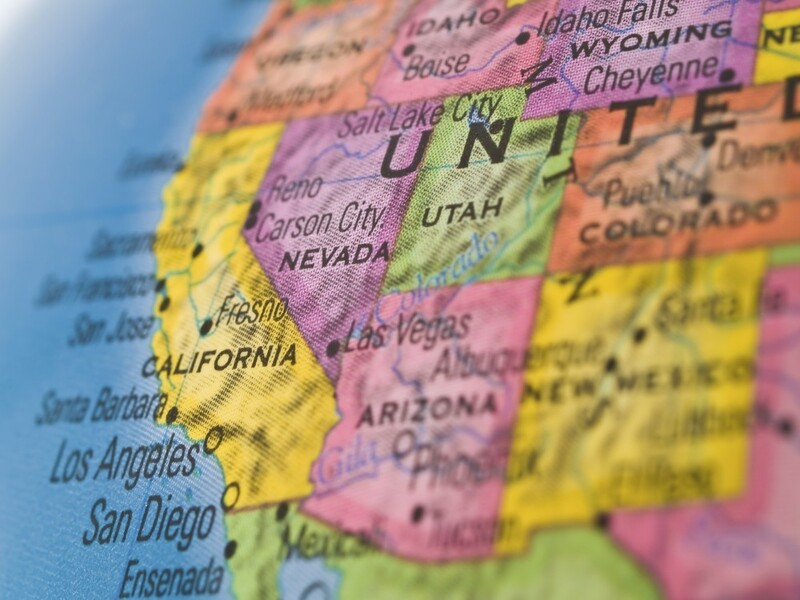 Consider the case of a large Southern California new home builder with projects in locations ranging from some of the most sought-after A locations possible to some of the least desirable F locations. 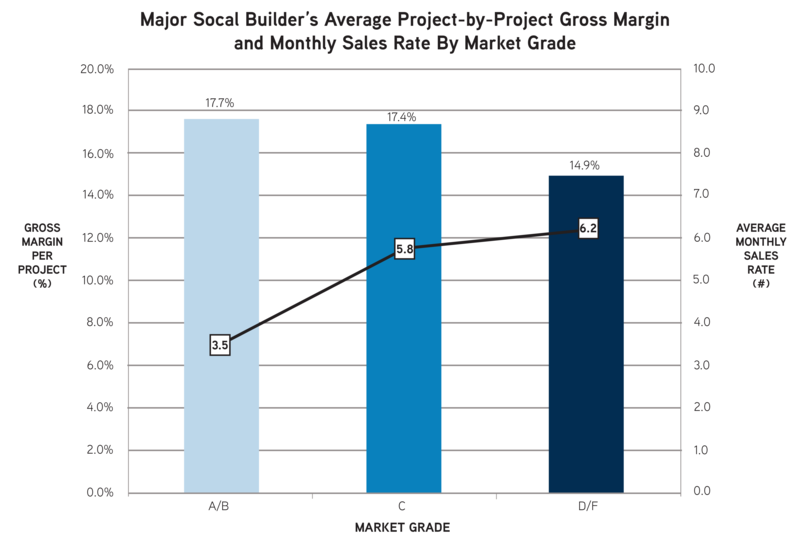 A comparison of gross margins generated at specific projects indicates that while slightly higher margins are generated in A, B, and C locations, solid margins are also being generated in D and F locations. It is also worth noting in this case that while the A and B markets have the highest gross margins, they also have slower sales rates (due to much higher home prices) than the projects in the C, D, and F markets. Factoring in the pace of sales, the cost of land, and the time cost of money, it is entirely possible that projects in D and F markets will generate higher IRRs than projects in A and B markets. So, investors, the next time you are presented with the opportunity to invest in a project in a D or F location, don’t rule it out until you’ve done all your homework on the other two factors in the equation: timing and price. The incremental margins in a D or F location may justify the additional risk.